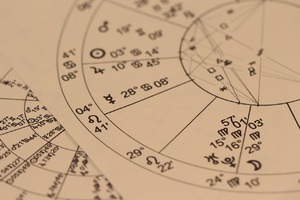 Astro Birth Chart Report is based on the date of birth and the exact time of birth. If there is no information on the time of birth, the calculation can not be done. In case you do not know your exact time of birth, you can refer to the municipality where you were born. Astro Birth Chart is an accurate picture of the layout of the planets at the moment of birth, and contains the fullest information about the forces and energies that will work in the present life, the characteristics of the temperament, the character, the circumstances and the peculiarities of the person, the respective belonging to certain psychological archetypes, karmic load, and experience of past lives. The detailed map description contains information about the location of the planets in the map and homes, determining the ascendant, descent, MC, IC, features and aspects of the planets. Term of order: 10 working days.